However UK is performing well compared to many other nations, KPMG says. For a growing number of UK companies, being hit by a cyber breach is not a matter of ‘if’ – it’s a matter of ‘when’. This is according to a new report by KPMG based on a poll of 150 UK leaders. When compared to the rest of the world, though, the UK is performing well, as according to the report. 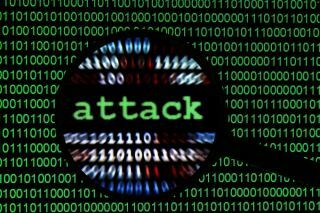 39 per cent of businesses said the agreed with the inevitability of being attacked, compared to a global average of 49 per cent - which KPMG says is ‘disheartening, but optimistic’. At the same time, 40 per cent of UK CEOs consider data protection their utmost priority. The report argues that with the new GDPR now in effect, ‘just’ 40 per cent of worried leaders is cause for alarm. UK business leaders see a strong cyber security strategy as critical to building trust with key stakeholders.